Beginning of class expectations. Create desktop folder. Share your name and one of your interests with your neighbor. Share with the class. Brainstorm in pairs and as a class adjectives that describe skills we have in our areas of interest. Choose a positive quote that goes with your adjective. Search on google images for "quote about being ___________". Drag at least two quotes to your document in pages. Print and turn in at the end of class. Using Chrome, go onto the website dafont.com. Choose 2 fonts that display the mood of your adjective. Download and install them onto your computer. Take a photo with Mrs. Kushner. Begin Photoshop: create new image, 17x11 @300 dpi, move tool, text tool, text toolbar. Begin Photoshop. Drag and drop photo into Photoshop. Resize to fit page (no white space). Lock the photo layer. Create a new text layer (press T for Text then drag a text box). Leave margins (space around the text box). On the text toolbar at the top of the screen, choose your font that has a style that reflects the meaning of your word. Choose a size for your text (start with 45 pt). Double click the color on the text toolbar and choose white or black. Type your quote. Use the alignment options to center your text if you want. Create a new text box for your adjective. Make the text size larger than the size of your quote. Click on the fx on the bottom or your layers toolbar. Use the stroke or glow to enhance your letters and create contrast to make them pop out. Your goal is to make sure the adjective and quote are clear and easy to read! Make sure your have space/margins around the quote and adjective and the picture of you. Finish your Photoshop project 1. -Font is clear and easy to read. 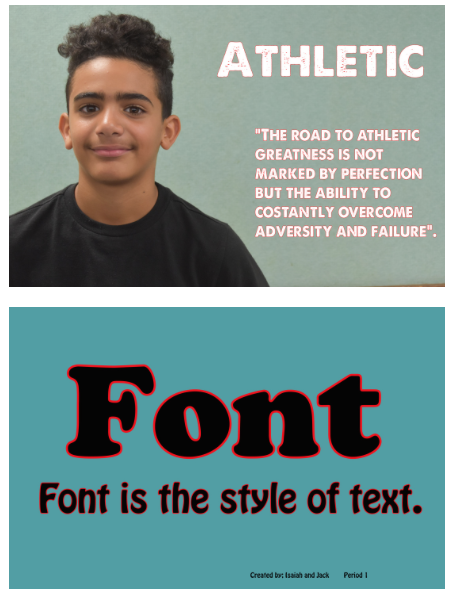 Font style reflects the meaning of the adjective. -Quote, adjective, and picture of you have margins/space around them so your composition isn't crowded. -Adjective font size is larger than quote font size. -Fx are used to enhance text and create contrast to make text pop out. Color and fx have unity and work well together. Save your Photoshop project as a .jpg. Go to your blog page and drag a title onto your page. Type "Welcome to _______'s page". Drag another title below for this project and type "Photoshop Project 1". Drag an image below. Double click the image icon and drag in your .jpg file. Drag text below. In the text box, use the art and design concepts we discussed to describe the choices you made in Photoshop. Finish typing your image description. If you finish, create a poster for one of the art concepts including concept and a definition. Finish updating blog with image and description. Finish creating an art concept poster. Make sure your image is printed and put in plastic case for display. Finish updating blog and art concept poster. Finish printing and hanging posters and projects. In small groups, create I CAN statements based on things that you can do after this first Photoshop project. Review "I Can" statements and project goals. Learn how to visit the class blog as a viewer. Look through 1st period student pages and choose projects that you think are most successful. Use a Pages document to keep notes about which students' projects stand out most to you and why. 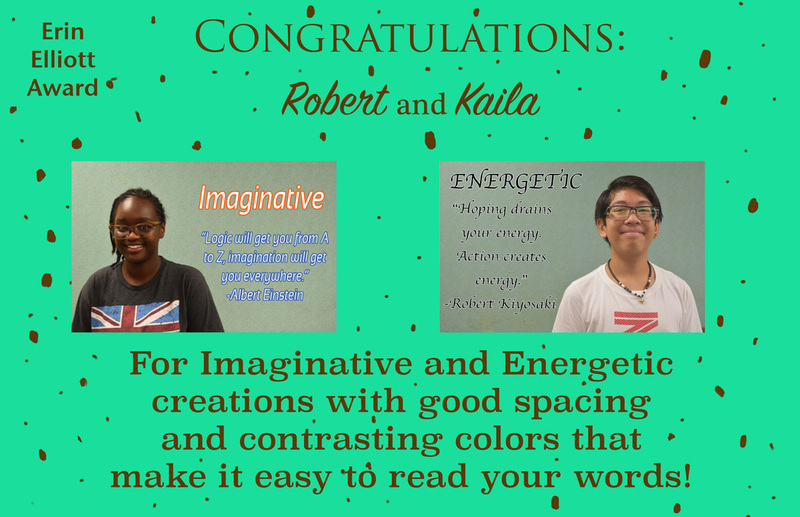 Choose one student's project to give an award. Create a category for the award and write some reasons the project should get this award. Begin designing the award in Photoshop. Open a new Photoshop document 17 x 11, 300 dpi. Use the paint bucket (press G) to fill the background with a color. You can drag the winning image into your Photoshop award by click on the picture online and dragging it onto your Photoshop document. Use text to describe why this person wins this award! Finish award in Photoshop. Check with Mrs. Kushner when you're done then she will print it. Save as .jpg and upload to your blog. Make sure your award is finished and printed by Mrs. Kushner. Do self-evaluation for project 1 and turn in to Mrs. Kushner. Make 2nd award or help others complete their awards. Class celebration!! Finish self-evaluations for project 1 and turn in to Mrs. Kushner. On blog, create a new Title-- Photoshop Award. Drag a .jpg version of your award underneath. 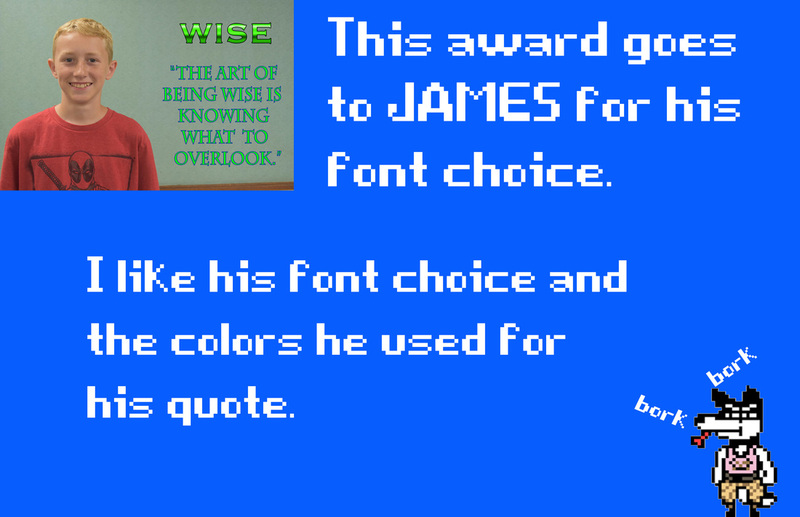 Drag text and type about your award design-- new tools you used and design choices you made. Publish. Enjoy treats in a circle in the back of the room while presenting and receiving class awards for project 1. GREAT WORK ON PHOTOSHOP PROJECT 1 7TH GRADERS!! What are issues you care about? What are struggles, challenges, hopes, or dreams you have? What videos, images, or articles can you find to inspire you or learn more about your topic? What will your project communicate? In Google Docs, type ideas for topics. Pick one, then give a more specific description of the issue, how you feel about it, and/or how it impacts you or others. How do we see issues from different perspectives? 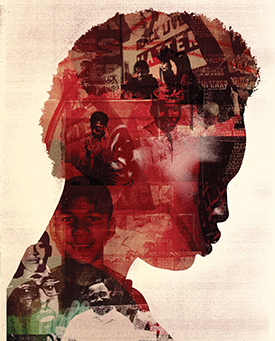 How can we use imagery to show our ideas effectively? At beginning of class, open Google Drive, go into Media Arts folder, and open your Journal. The journal should be completed daily! You can include screenshots to show your progress! Students finish uploading Project 2 to blog. In Google Classroom, turn in Project 2 .psd file. Begin building your future city in Minecraft, as a Google Doodle, or in Google Sketchup. Work on future city in Minecraft. At the beginning of each class period, write a goal for the day: "today I will...". At the end of each class period, press Command+Shift+3 to take a screenshot. Esc out of Minecraft. Your screenshot will be on the desktop. In your Google Journal, write today's date and drag and drop the screenshot into your google journal. Then drag the screenshot into your folder. Write "today I..." and write what you completed in class. Students will conference with Mrs. Kushner to discuss Photoshop Project 2 and missing assignments. 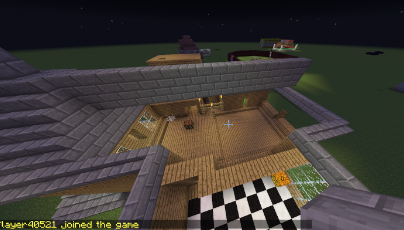 Finish Minecraft Future City. Keep Daily Google Journal. Open Quicktime. Click File- New Screenrecording. Record a tour of your Minecraft City. Move slowly and stop in areas you will describe in your voiceover. Save to your folder. Put in iMovie. Add a title and credits. Trim, then share to your iPad. Record voiceover. 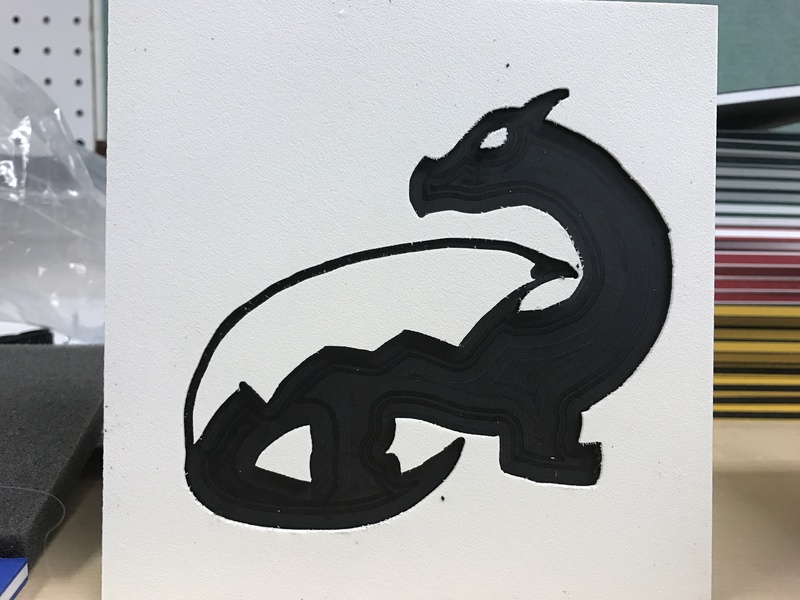 Create a 3 x 3 inch design to 3D print or a 6 x 6 design to carve out of a tile using the Carvey. You can use sharpie or a black colored paintbrush in Photoshop. 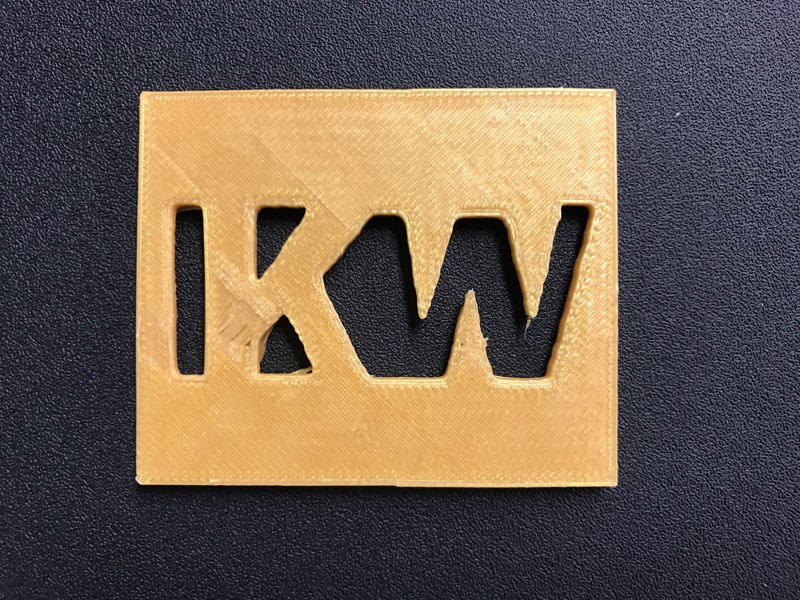 The 3D print can be your name, initials, or a design. Make sure all the black areas of your design connect. The Carvey can be a logo or design. All black areas will be carved out.